Home - Does the use of colour in your home change your mood? Does the use of colour in your home change your mood? Have you ever taken a moment to think about how certain colours can make you feel, bright and bubbly or dull and subdued? Colour inside and outside your home, including your brightly painted front door can change your mood and unknowingly reflect the state of your mind. According to Oscar Wilde, ‘Mere colour, unspoiled by meaning, and unallied with definite form can speak to the soul in a thousand different ways’. From when we first lived in caves, our minds have been stimulated by colours, which have allowed us to differentiate and associate whether a situation is safe or dangerous. An article in the Huffington Post, says that our mood is affected by the colours we choose to wear. When the weather is dull, putting on dark clothes can make us feel down and sombre. But when we put on bright colours they can make us feel bright, boost our emotions, give away our hidden emotions, and make us stand out from the crowd and how we interact with people. In the same way that colours we wear affect our mood it also applies to the way in which we decorate our home. For a more detailed chart on colours and how they affect your mind try this link. According to House to Home, colours used on the walls and in the soft furnishings around our homes can invigorate, inspire, energize, make us feel passionate and fiery or just simply relaxed and mellow. The amount of natural or artificial light in a room can change the tone of a colour, which in turn can also change our mood. 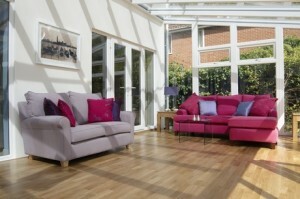 The pink sofa in this Anglian Verandah Conservatory lifts my spirits. When standing in your local DIY store looking at the paint pantone charts, some colours attract your attention and others make you look away. If you like using a natural pallet of colour on the walls, i.e. whites and creams you can add colour and warmth to a room with coloured furniture and accessories. By adding coloured accessories this allows us to change the style and look of our homes without great expense or the inconvenience of having to redecorate. 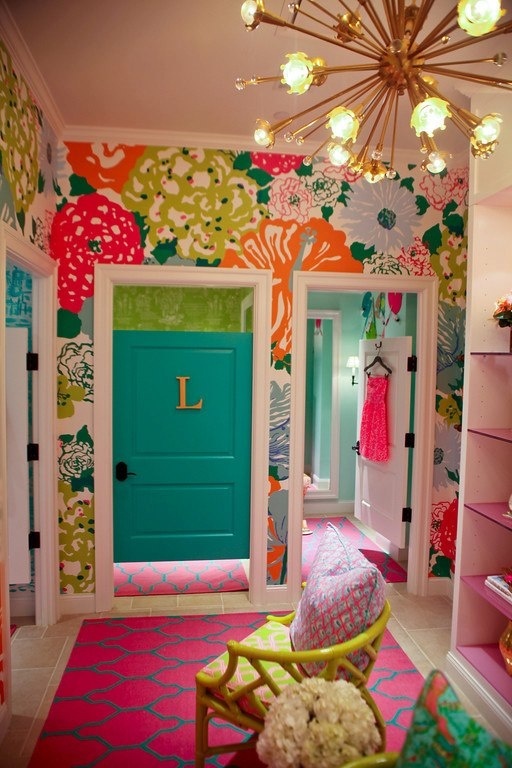 The colours used in the room below are very bright, bold, and fresh and we think make you feel energised. Have you ever noticed that you can be drawn to certain colours to wear because they make you feel good? Take a quick look in your wardrobe and see if any of those colours have been used decorating your home. 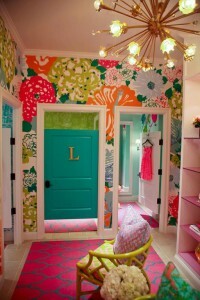 Do you have an area in your home that by adding a little colour would change the feel of the room and your mood? Are you a mellow yellow type of person or do you like a shocking pink? We would love to see pictures of your favourite coloured rooms, why not pin your pictures to our homes page on Pinterest and if you are looking for inspiration there are some wonderful pictures there to choose from.